PLEASE TAKE A MOMENT TO FILL OUT OUR POST SYMPOSIUM EVALUATION FORM! 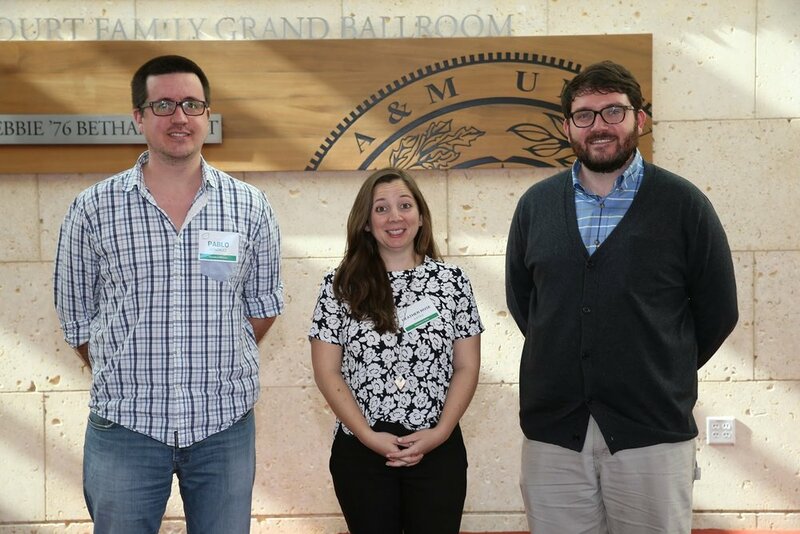 Three scholarships will be awarded to fund graduate students from other universities to attend the 2018 Texas A&M Plant Breeding Symposium: "The Omics Era- A New Page in Plant Breeding ". Scholarship recipients will be required to present their personal research as a 5-minute presentation and academic poster. The deadline to apply for travel scholarships is December 18, 2017. The Texas A&M Plant Breeding Symposium will be hosting the fourth annual Student Research Competition. The competition will take place in conjunction with the Symposium. Awards up to $250 per individual will be given to Texas A&M students. The deadline to apply for 5-minute oral presentations + poster is February 2, 2018. This website is created and maintained by the Texas A&M Plant Breeding Symposium Graduate Student Organizing Committee.